Building a Stronger Ballard Community Through Membership. See the chart below to see which membership level works for you. 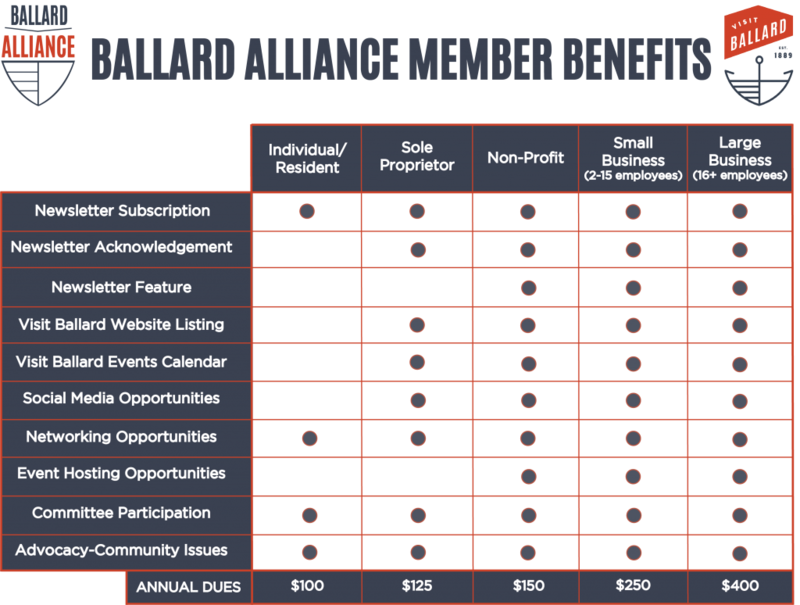 Your membership in the Ballard Alliance provides an opportunity to promote your business or organization, keep informed about important events and issues, participate in B2B networking events and engage on broader community issues and initiatives.